»News»Poll: Should Andy Carroll get a two year extension? Poll: Should Andy Carroll get a two year extension? 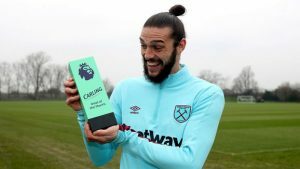 Earlier this week Claret and Hugh reported that West Ham are facing a dilemma in deciding whether they should exercise the two year option they hold on Andy Carroll’s contract in the summer. We revealed that should they do so they will have to keep him on the same money he has been earning over the duration of his current contract plus any additional rise in the Retail Price Index. Carroll is on a weekly wage of £85,000 and a highly placed source in the club, who is in regular contact with us via telephone explained the difficult decision that faces the club. The striker is ready to return to action after the international break and faces six months which could be career defining as he bids to show he is either worthy of a new deal or attract offers from other clubs. In today’s Claret and Hugh poll we ask the simple question whether the club should implement their two year option on Andy Carroll or not? Should West Ham activate a two year option on Andy Carroll? The only dilemma for the club should be how long they wanna celebrate for once he’s actually left.